Welcome to our retail store guide and online catalog. 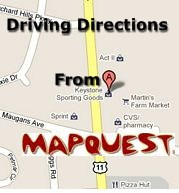 We handle Hagerstown area gun transfers! 25.00 for long guns, 30.00 for handguns. 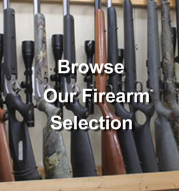 Just call us and we will either fax or email the seller a copy of our Federal Firearms License (FFL). Once the firearm arrives at our store you come in and do the transfer paperwork. Simple and easy. 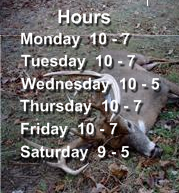 We are the Tri-states largest, best stocked, most complete full service archery pro shop. Located on the north side of Hagerstown Maryland we are only 10 minutes from Greencastle Pennsylvania, 15 minutes from Waynesboro Pennsylvania, and 25 minutes from Martinsburg West Virginia. See us for all your archery needs including full service repairs of bows and crossbows, indoor range, and lessons. We have the hottest new 2017 compound bows and crossbows from makers like Elite, Mathews, Bowtech, Hoyt, Bear Archery, Diamond, Prime, and PSE. With so many great bows available how do you know which one to buy? You shoot them of course! You are welcome to shoot and compare any of our bows! The most important part of buying a bow is getting the correct fit. Not sure what size you need? Check out our easy to use sizing guide!